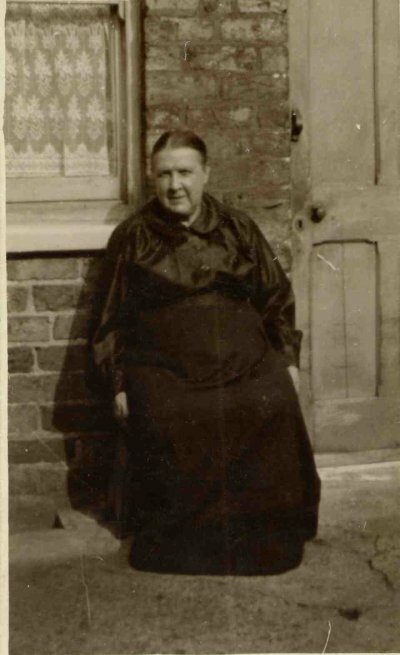 This is a photograph of Mary Marple (nee Sheldon) my Great Grandmother. It was taken at the back of her home in Park Lane, Holgate, York. Mary Sheldon was the daughter of Samuel and Christiana (nee Wilson) Sheldon, born 3 June 1855, Middleton,Derbyshire. Mary married William Marple on 27 October 1879 at Christ Church in the Parish of Bradford & Beswick in the County of Lancaster. Mary died in December 1923 and is buried in York Public Cemetery.